What is your spiritual story? Are you looking for a liberal religious community? Do you want church without the dogma? Cache Valley Unitarian Universalists might be for you. Cache Valley Unitarian Universalists, or CVUU for short, is a religiously liberal, lay-led Welcoming Congregation located in the beautiful Cache Valley in northern Utah. Our lay leader, members, friends, and guests of the congregation lead Sunday services or assist as Worship Associates. As a reflection of the diversity of beliefs in our community, all in our congregation are invited to share in the creation of Sunday services. 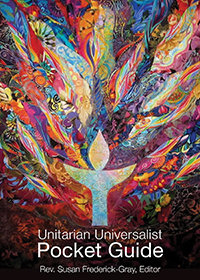 Unitarian Universalism grew out of two longstanding liberal Christian faith traditions. The Unitarians; one God; and The Universalists; universal salvation. These two faiths joined together in 1961 to form what is now a unique and evolving faith. Although much changed from our root faith traditions, UUs today continue to embrace compassionate social action, as well as environmental justice, and the search for truth, meaning, and understanding of our role in the Universe. Our diversity of beliefs –secular humanist, theist, Buddhist, and many others – make this community a welcoming place to explore your personal spiritual journey. 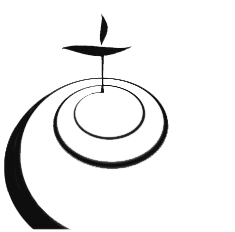 The member congregations of the Unitarian Universalist Association, affirm and promote seven principles as well as draw inspiration from six wisdom sources. Unitarian Universalists hold these Principles as strong values and moral teachings. The Principles are not dogma or doctrine, but rather a guide for those of us who choose to join and participate in Unitarian Universalist religious communities.